As internet telephony started to become a real option several years ago, some American war tax resisters realized they could avoid the federal excise tax on telephone service by getting rid of their phone lines and switching over to such internet-based plans. Must our correspondence by mail be at end, in consequence of the extra postage? or shall we pay it, and thereby contribute a mite to the support of measures calculated to destroy men’s lives and property? Perhaps I may be alone in refusing to pay postage on letters. Only a few cents — what can this do, it may be said, towards enabling government to prosecute the war? Very little, I own: but the great sum required is made up of littles; and if all those littles are withheld, the effusion of human blood may be at an end. … I cannot… believe it best for me to pay the present demand of additional postage, little as it is, and alone as I may stand. I am one of those (I suppose there are others), who have felt an extreme unwillingness to help maintain our wars by the use of the revenue stamps, which were legalized expressly for war uses. Our forefathers would have made an emphatic protest against it, if indeed they would not have refused entirely to use the stamps, and borne the consequences, whatever they might have been. … at least we could restrict the use of checks (for example) wherever possible, and diminish in this way our contributions to the war fund. About the year 1791 , I understood a law was made for raising money to defray the expenses of war, by means of a duty laid on imported articles of almost every kind. … I had felt myself restrained, for thirty or forty years, from paying such taxes; the proceeds whereof were applied, in great measure, to defray expenses relating to war: and, as herein before-mentioned, my refusal was from a tender conscientious care to keep clear in my testimony against all warlike proceedings. [A] weighty concern attended my mind on account of a tax on shop keepers, who dealt in foreign articles, to be appropriated towards carrying on the war against England. I felt much scrupulous in my mind, respecting the consistency thereof with our peaceable principles. … I believed my peace of mind would be affected, if I paid the said tax. So I resigned myself to the Lord’s will, let the event be as it may. But scarcely a day passed, that I had not to turn customers away, who applied for articles which I had on hand, but could not sell, on account of the heavy penalty. Quaker meetings also had a policy of warning their members against “sharing or partaking in the spoils of war by purchasing or selling prize-goods” — that is, goods seized from the ships of enemy nations by government-sanctioned pirates. [T]he King [once] had the power of summoning the barons to the field, and the barons their retainers: by these means armies were raised, fields fought, and blood-stained laurels acquired. But now immense sums are wanted; and without them War would be an impossibility. The magnitude of the money necessary, infinitely exceeds any resource which the kingdom can immediately supply: therefore the ingenuity of ministers has recourse to the aid of Funding; that is, of establishing a fictitious capital, which shall bear a certain rate of interest; and any person, purchasing of Government a portion of this fictitious capital, is put into the receipt of interest according to the sum he purchases, and the country is burthened with taxes to support the payment of such interest. No man hazards his veracity by saying that War cannot be now supported without the Funding System. As no man then can deny this solemn truth, is it not astonishing to find Quakers holders of stock, not only in their individual, but in their collective capacity? What then is the conclusion? The Quakers, at the time they declare their fundamental principles prohibit War, are actively and voluntarily supplying the only prop by which the modern system of War is supported. Payne himself went even further. Eager to avoid as much as possible paying money to the British government that was fighting the American revolutionary war, he bricked up a third of the windows of his home to reduce his property tax (which was assessed based on the number of windows), he disabled his coach to avoid its license fee, and he rode miles out of his way to avoid road tolls. Upset at the government siphoning off a portion of pew rents in establishment churches “to relieve the embarrassments in the city finances, occasioned by an extravagant self-elected magistracy,” some people in Edinburgh around the time of the Annuity Tax resistance there proposed also refusing to rent pews until government spending were to become more responsible. 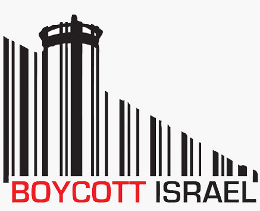 The “Boycott, Divestment, and Sanctions” movement aims to boycott businesses that profit from Israeli settlement expansion in occupied Palestine. The “Potato Movement” in Greece is trying to circumvent the over-taxed middle-men of the above-ground commercial market by directly connecting producers and buyers in a way that is mutually-beneficial to them and less profitable to the state. Boycotts of British-monopoly goods like salt were also, of course, big parts of the Indian independence campaign led by Gandhi. In Wales, truckers blockaded a Chevron refinery and called upon the tanker operators to join them in shutting it down, to protest the government’s tax on fuel. In Greece, recently, resisters to taxes that were added to utility bills have barricaded the offices of utility companies. The government relies on borrowed funds as much as on taxpayer dollars, so make sure you aren’t inadvertently loaning Congress your hard-earned lucre. Also: I seem to have become an inspiring life. So, what of these new “MyRA”s that Obama got so excited about in his State of the Union message? Also: another railroad bond swindle led to more tax resistance in New York in 1881.